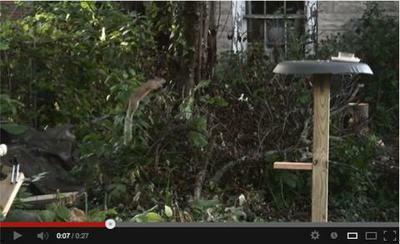 Hello, My slow motion backyard video was reviewed by a mammal expert, Steve Harris. Please view this Discovery Wildlife article, click the video below. Steve Harris reports, "Your footage, however, does seem to show the animal accelerating in mid-air, though we don’t know the rate of acceleration or what it is gaining in distance." "animal accelerating in mid-air"? Isn't this squirrel tail propulsion? The squirrel's tail developing aerodynamic thrust....... something previously unknown. Is this a scientific discovery?